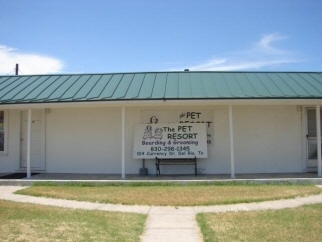 Price includes property and business known as "The Pet Resort". Set up for dog grooming and boarding includes kennels. 24 large indoor/outdoor runs and secure 20 x 20 exercise yard. Office, grooming room, large retail or extra boarding and grooming. Large dog wash, washer, dryer, refrigerator, food prep area, and storage. Owner is anxious to sell! $50,000 for business. 8/8/14 Property has been freshly painted, all runs have been redone and repairs completed. Property really looks good, come take a look! !